At Box’s recent Boxworld conference the company was focused on its enterprise market. But Box recognizes that it also needs to take care of end users, since they are the ones using Box products in the field. To that end, Box has updated its iOS app with Touch ID support, an iOS widget and a Favorites feature for both files and folders. Box’s Vice President of platform Chris Yeh says that Box users use the app 50 times a day. “As that number goes up we are continually focused on how to make the experience better for people,” he told TNW. 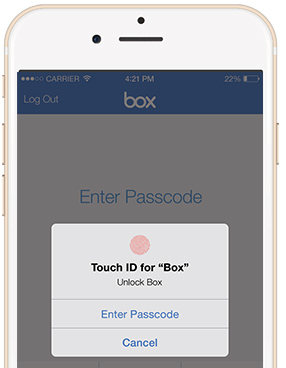 For users with iOS 8 and devices that support it, the updated app supports Touch ID log in. You can still use a passcode if you wish, but launching a password-protected app with your fingerprint lowers the barrier for those that find passcodes a nuisance. 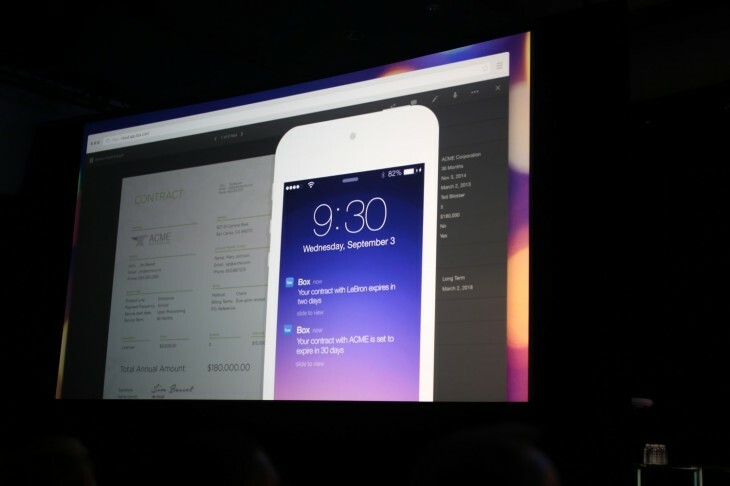 The iOS widget adds recent activities, the ability to create a new Box Note and save videos and photos, and allows access to files and folders from the Notification drawer. The new Favorites feature gives you quick access to files and folders within the app. In addition to an updated iOS app, the browser-based Web app will soon receive a series of updates over the coming weeks. 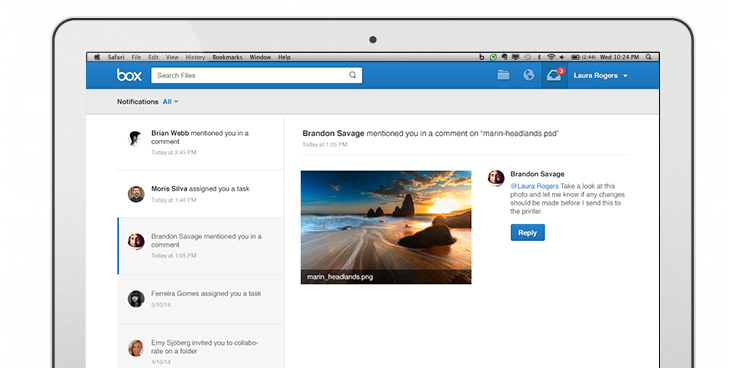 The new features will include a simplified header, Favorites for files and folders, collaboration controls, and the ability to whitelist files and folders, and manage how they are shared with email domains. As for Android and other mobile platforms, Yeh said that Box will be working towards app parity with all supported platforms.